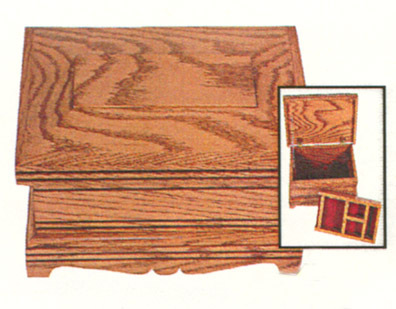 Here is a simple Men’s jewelry box like our #466, but in a little more decorative package with a lift out tray. Another top quality Amish made hardwood product, provided to you at a Clayborne’s price. Ask for #466-R.